I have loved my copy of Zen Flesh, Zen Bones since the day I first read it at my friend Robbie’s house. I bought a new copy and he traded with me for his pocket-sized version. 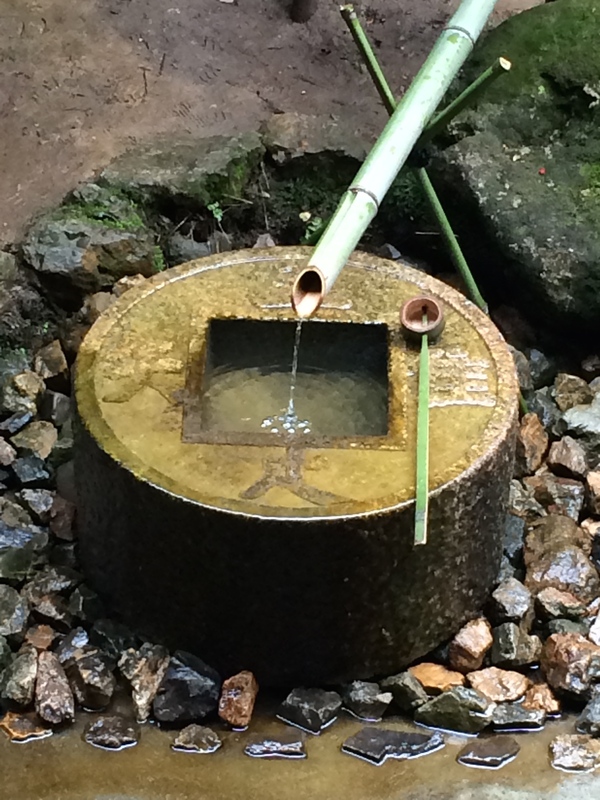 When one goes to Obaku temple in Kyoto he sees carved over the gate the words “The First Principle” (義一第). 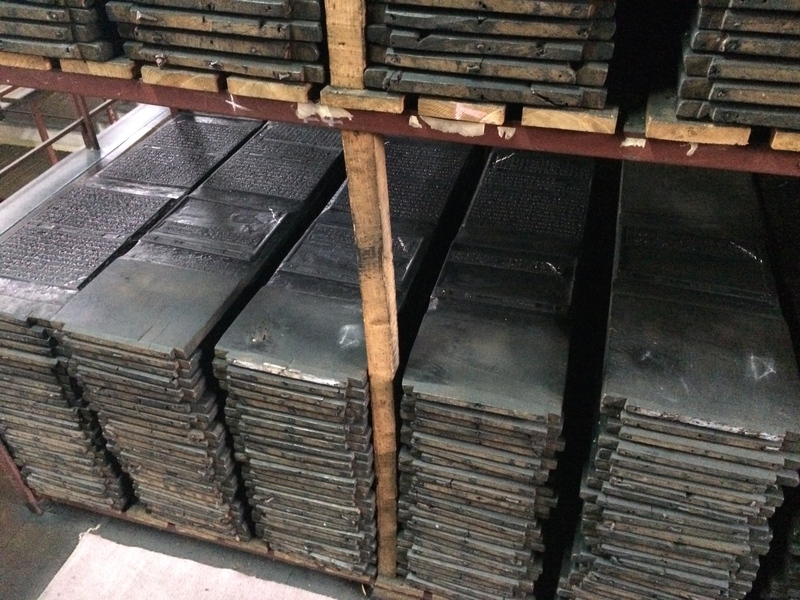 The letters are unusually large, and those who appreciate calligraphy always admire them as being a masterpiece. They were drawn by Kosen two hundred years ago. “That is not good,” he told Kosen after the first effort. Kosen patiently wrote one sheet after another until eighty-four First Principles had been accumulated, still without the approval of the pupil. Not only was I able to see Kosan’s work from this story in person, the temple is off the beaten path and not so busy. I had the pleasure of sitting in this spot all by myself, watching the sun set over the courtyard. 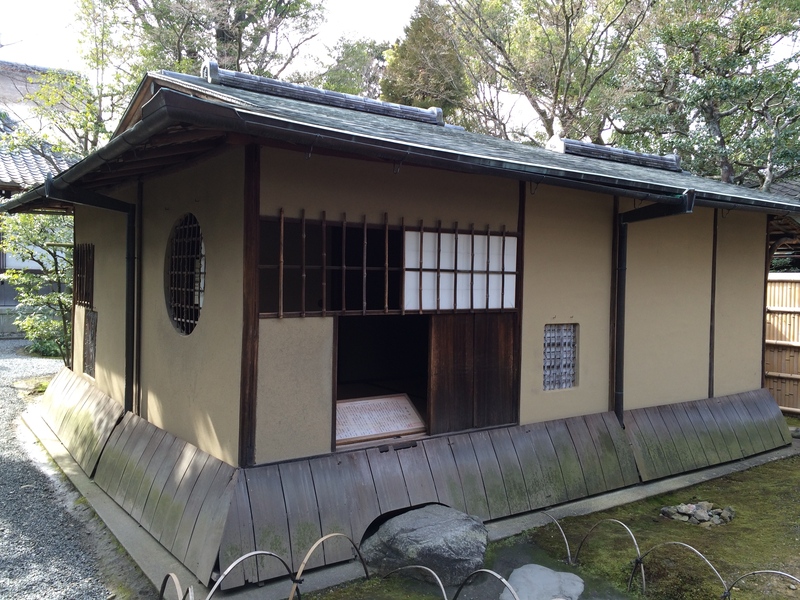 A teahouse said to have been designed by Sen no Rikyū, legendary tea master. Taiko’s attendant warrior Kato interpreted his superior’s enthusiasm for tea etiquette as negligence of state affairs, so he decided to kill Sen no Rikyu. He pretended to make a social call upon the tea-master and was invited to drink tea. The master, who was well skilled in his art, saw at a glance the warrior’s intention, so he invited Kato to leave his sword outside before entering the room for the ceremony, explaining that Cha-no-yu represents peacefulness itself. 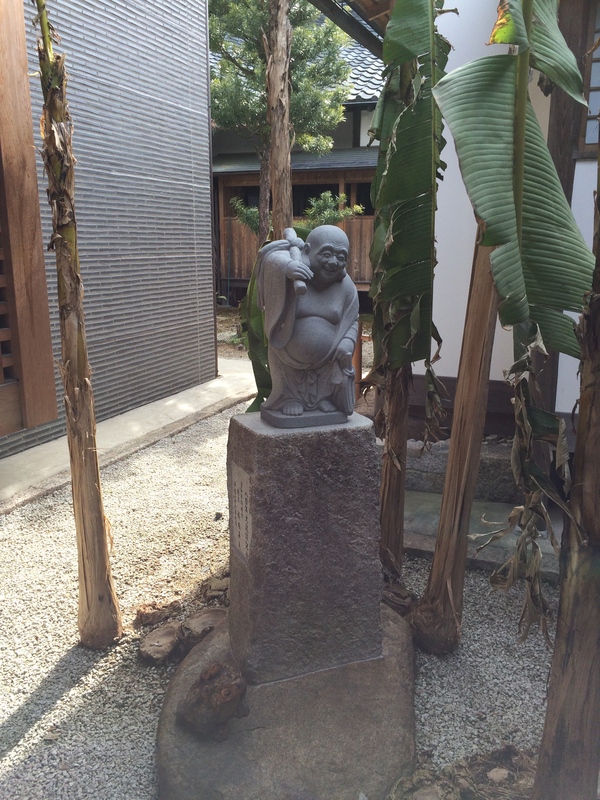 One of the innumerable statues of the beloved Hotei. 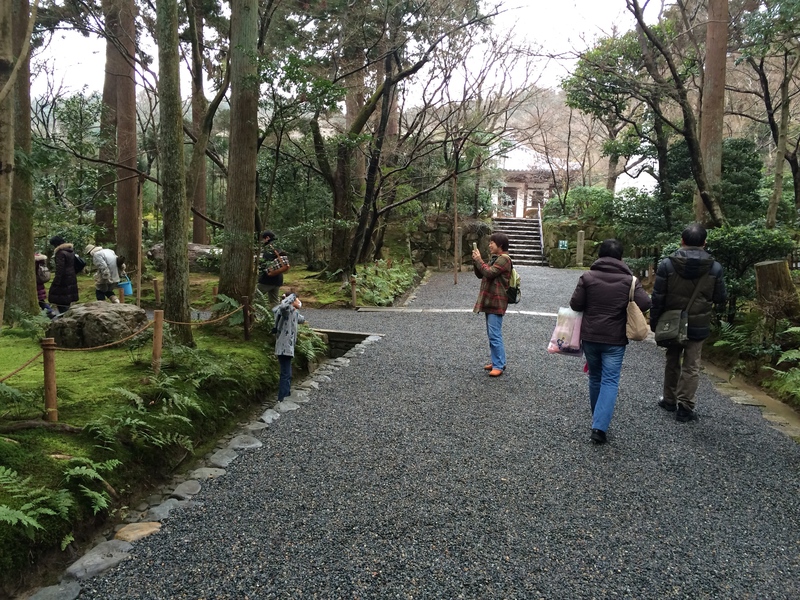 This one was at Kennin-ji I think. Anyone walking about Chinatowns in America will observe statues of a stout fellow carrying a linen sack. Chinese merchants call him Happy Chinaman or Laughing Buddha. 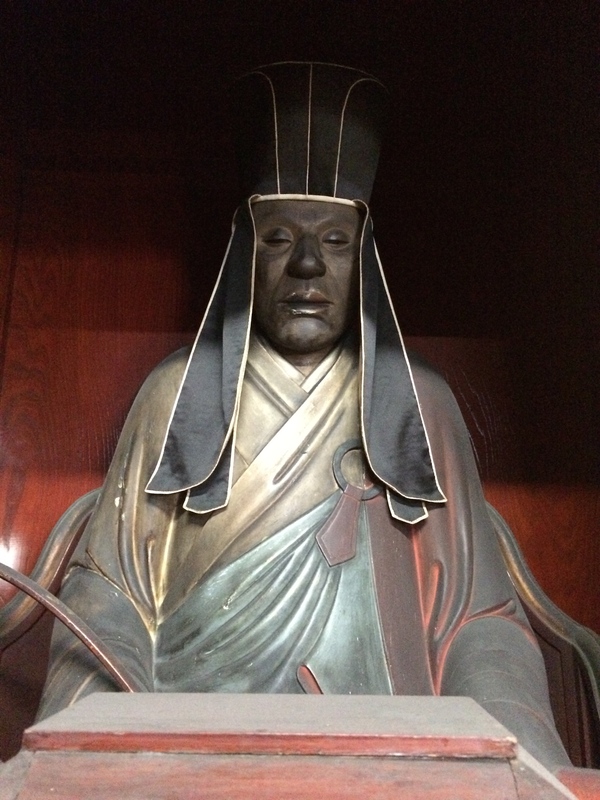 This Hotei lived in the T’ang dynasty. He had no desire to call himself a Zen master or to gather many disciples about him. Instead he walked the streets with a big sack into which he would put gifts of candy, fruit, or doughnuts. These he would give to children who gathered around him in play. He established a kindergarten of the streets. I’ve been inspired by Hotei to always remember the difference between religious observance (study, devotion, piety, meditation, asceticism, etc.) and an actualization of truth, realized in a life well-lived. 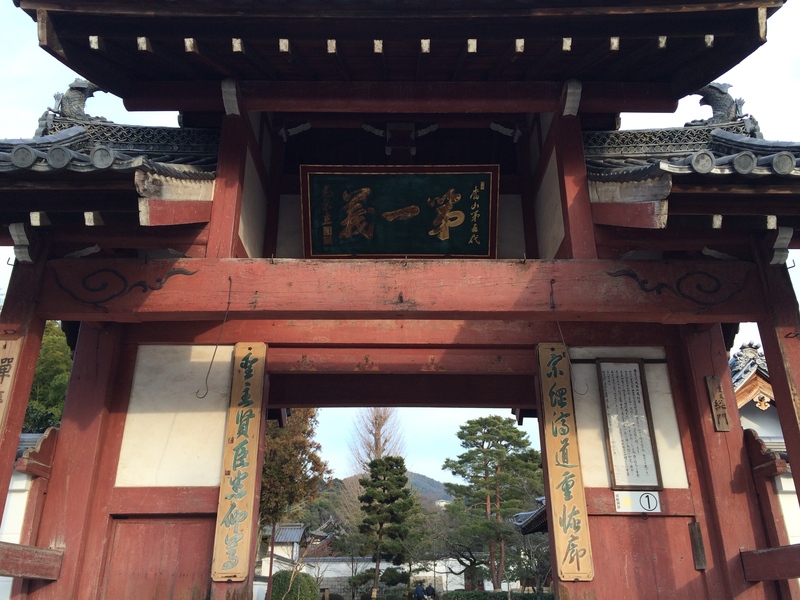 Tetsugen began by traveling and collecting donations for this purpose. A few sympathizers would give him a hundred pieces of gold, but most of the time he received only small coins. He thanked each donor with equal gratitude. After ten years Tetsugen had enough money to begin his task. Several years afterwards an epidemic spread over the country. Tetsugen again gave away what he had collected, to help his people. For a third time he started his work, and after twenty years his wish was fulfilled. 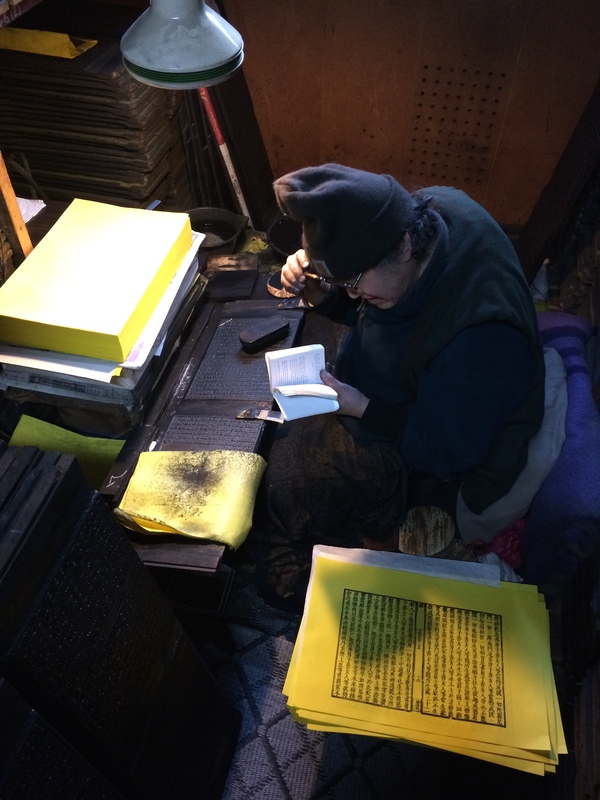 The printing blocks which produced the first edition of sutras can be seen today in the Obaku monastery in Kyoto. I don’t know about Japanese telling their children this tale (it seems unlikely that Zen stories are told to Japanese kids at all based on my experience), but I like it. And I’ve read that this story of Tetsugen‘s door-to-door pursuit of funds may be a bit tall as well, but sure enough the blocks are still there today! 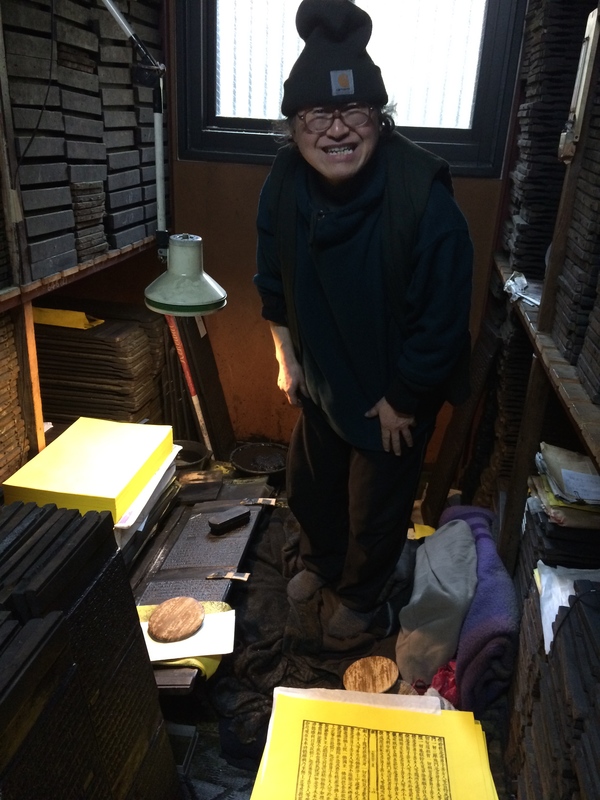 This smiling, awesome guy still to this day is creating copies of the sutras using the blocks purchased with the money Tetsugen raised. Reading the story of Tetsugen, Publishing the Sutras, from my copy of Zen Flesh, Zen Bones! That’s pretty amazing to me. Well, those are some of the stories I made a bit more real with my trip to Kyoto. If you liked the stories and want more, they’re all from Zen Flesh, Zen Bones, which is a collection of four books actually. I count it among the few texts I would call holy; its contents continue to impact my life and spirituality. 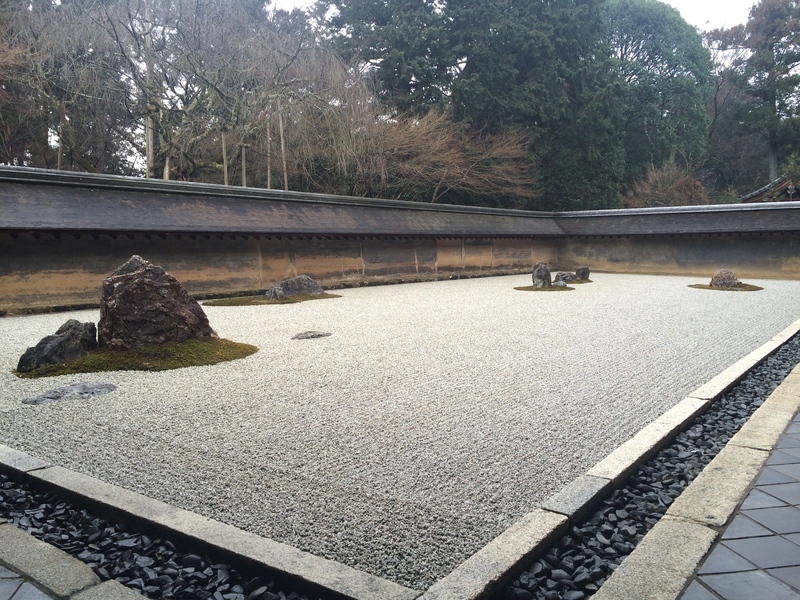 Another view of the Zen garden pictured at the top of this post. 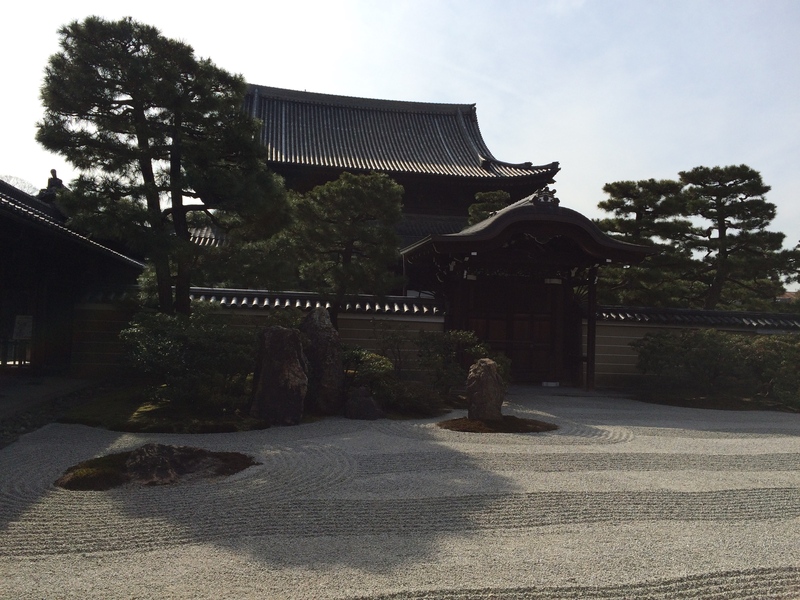 Kennin-ji. 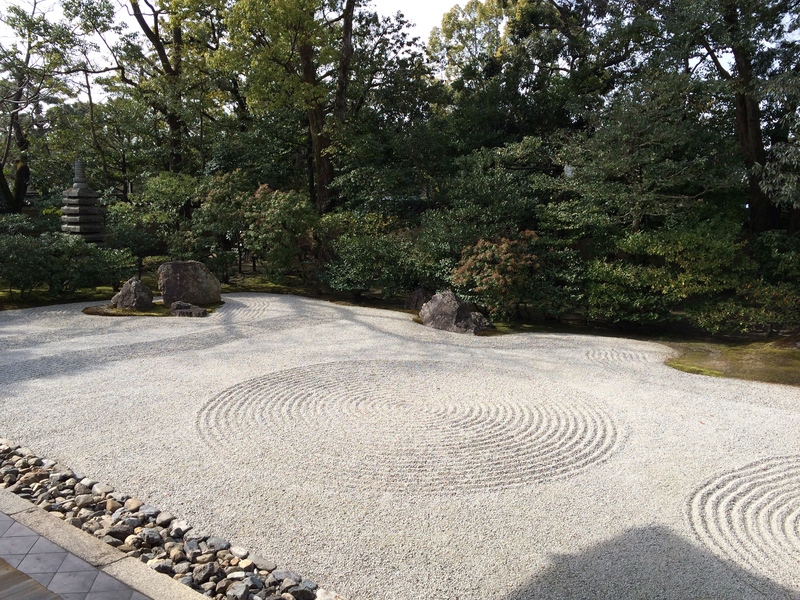 The rock garden at Ryōanji.